Bnib Pandora Heart Neclace And Stud Earring Set In Silver. Condition is New with tags. Bought for me as gift but not my style. Dispatched with Royal Mail 2nd Class. 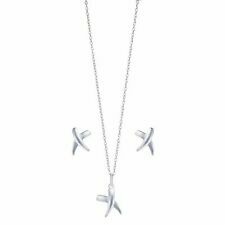 PANDORA 18" Sterling Silver Butterly Pendant & Earring Set in Sterling Silver set with pave set cubic zirconia c lear stones. 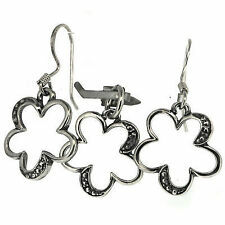 T he earring are a set of 2 Pandora cubic zircona set earrings with sterling silver butterfly back clasp. For sale is a matching pendant with necklace and hoop earrings. 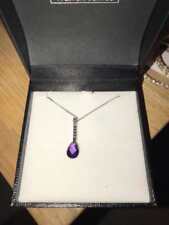 This was an unwanted gift from my wife's mother, who tends to buy present jewellery from either Pandora or Swarovski. However I can't see any markings on the jewellery itself, the box is not original and we have no further details. Pandora Birthstone Garnet beaded Ring & Studded Earring Set Sterling Silver Bithstone for January New and in original box. SIZE S1/2 19.4mm. GENUINE PANDORA EARRING AND NECKLACE SET BRAND NEW AND UNWORN. UNWANTED GIFT. ICE WHITE STONES ANY COLOURS ON THE PHOTOGRAPHS ARE FROM THE CAMERA. Dispatched with Royal Mail 1st Class Large Letter. PANDORA SILVER & 14ct HALO RING SIZE 53 UK M - M1/2. ana a 14ct Gold twisted style halo to the neck. Look for the quality does it look cheap?. or too bright silver (Pandora has tons of oxidized charms)?. 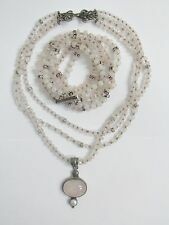 Genuine & Retired Pandora Silver 925 Necklace w 11 Charms. Genuine & Retired Pandora Huge silver set. Genuine Pandora Silver 925 Lobster Bracelet w 8 Retired Charms. Genuine Pandora Silver 925 Clasp Bracelet w 17 Retired Charms. This is the exact ring you will received Ref 150178CZ. PANDORA 14CT GOLD DROPLETS STACKING RING RRP £275.00. Look for the quality does it look cheap?. or too bright silver (Pandora has tons of oxidized charms)?. Look for the quality does it look cheap?. or too bright silver (Pandora has tons of oxidized charms)?. Also look for the words ‘plated’ ‘silver plated’ ‘gold plated.’. Due to new international standards you may see a S before the 925 for silver. PANDORA FLOATING SPARKLING HEART LOCKET RING. Look for the quality does it look cheap?. or too bright silver (Pandora has tons of oxidized charms)?. Due to new international standards you will see a S before the 925 for silver and a G before the 585 for gold. PANDORA SILVER & 14ct GOLD RING VERY VERY RARE. It as 3 lots of 14ct gold balls. Look for the quality does it look cheap?. or too bright silver (Pandora has tons of oxidized charms)?. Due to new international standards you will see a S before the 925 for silver and a G before the 585 for gold. PANDORA FLORAL ELEGANCE STACKING RING REF 190849. Look for the quality does it look cheap?. or too bright silver (Pandora has tons of oxidized charms)?. Due to new international standards you will see a S before the 925 for silver and a G before the 585 for gold. Ref 190619BRU Discontinued. PANDORA BLACK FACETED RUTILITE QUARTZ RING RRP £95.00. PANDORA Silver & Rutilite Quartz bubble band ring. Set with a large faceted Rutilite Quartz stone. S925 Ale Markings of Authenticity inside the ring. PANDORA FOREVER HEARTS RING REF 191023CZ RRP £50.00. Look for the quality does it look cheap?. or too bright silver (Pandora has tons of oxidized charms)?. Due to new international standards you will see a S before the 925 for silver and a G before the 585 for gold. SPARKLY HEARTS OF PANDORA RING REF 190963CZ RRP £60.00. Look for the quality does it look cheap?. or too bright silver (Pandora has tons of oxidized charms)?. Due to new international standards you will see a S before the 925 for silver and a G before the 585 for gold. PANDORA LOGO HEART RING REF 197379 RRP £35.00. Look for the quality does it look cheap?. or too bright silver (Pandora has tons of oxidized charms)?. Due to new international standards you will see a S before the 925 for silver and a G before the 585 for gold. PANDORA INFINITE SHINE RING REF 190994 RRP £35.00. Look for the quality does it look cheap?. or too bright silver (Pandora has tons of oxidized charms)?. Due to new international standards you will see a S before the 925 for silver and a G before the 585 for gold. PANDORA ELEGANT BEAUTY PEARL RING REF 191018P RRP £70.00. Look for the quality does it look cheap?. or too bright silver (Pandora has tons of oxidized charms)?. Due to new international standards you will see a S before the 925 for silver and a G before the 585 for gold. This is the exact ring you will received Ref 150179CZ. PANDORA 14CT GOLD CAPTURED HEART RING RRP £399.00. Look for the quality does it look cheap?. or too bright silver (Pandora has tons of oxidized charms)?. Look for the quality does it look cheap?. or too bright silver (Pandora has tons of oxidized charms)?. Due to new international standards you will see a S before the 925 for silver and a G before the 585 for gold. 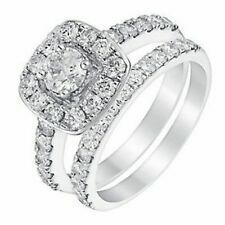 RADIANT HEARTS OF PANDORA RING REF 191011NCC RRP £55.00. Look for the quality does it look cheap?. or too bright silver (Pandora has tons of oxidized charms)?. Due to new international standards you will see a S before the 925 for silver and a G before the 585 for gold. 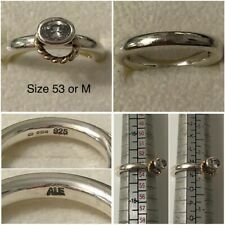 Ring Size 54 UK M 1/2 - N1/2 REF 191011ACZ. Purple / Lilac Radiant Hearts of Pandora Ring Rrp £55.00. Look for the quality does it look cheap?. or too bright silver (Pandora has tons of oxidized charms)?. PANDORA LUMINOUS FLORAL RING REF 290999MOP RRP £50.00. Look for the quality does it look cheap?. or too bright silver (Pandora has tons of oxidized charms)?. Due to new international standards you will see a S before the 925 for silver and a G before the 585 for gold. Bought brand new and worn once for a wedding. Beautiful pearl set. Jewellery needs a polish but both items have been kept safe in its box. Bargain price and so pretty. PANDORA RETIRED SALE! STUD EARRINGS AND CHAIN WITH PENDENT / NECKLET. STERLING SILVER WITH PINK CUBIC ZIRCONIAS. Depicting a flourishing tree of life with delicate leaves, this intricate sterling silver necklace and earring gift set is a beautiful symbol of life, strength, family and protection. Earring studs with a matching necklace, pendant and chain included.